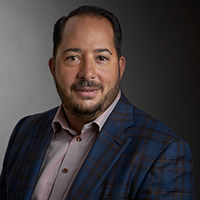 Michael Coluzzi is Senior Vice President and Chief Financial Officer of eOriginal, the leading platform for creating, managing, and monetizing trusted digital loans. Mike oversees finance, tax, treasury, legal, risk management, human resources and operations. He brings more than 15 years of experience in business technology and application software solutions and is recognized for his strong business acumen and technical competence in finance, human resources and legal. He reports directly to the CEO. Over his career, Mike has served as CFO of several companies ranging in size from under $50-million to approaching $1-billion. Prior to eOriginal, he served as CFO of Revitas, Quintiq, Metrologic Instruments and Honeywell Scanning & Mobility. Each company experienced tremendous growth during his tenure. Mike received his bachelor’s degree in finance and accounting from Franklin & Marshall.